The Catapult Club is a live music promotion company based in Birmingham and founded in 1989. Currently running several nights a week over the city's key music venues. The Catapult Club was set up in 1989 by Arthur Tapp to bring great gigs to Birmingham. Over its history it has promoted gigs for some of the best bands in the region including Editors, Ocean Colour Scene, Broadcast, Dodgy and the Enemy as well as acts such as Kasabian, David Gray, The Fall, Travis and Maximo Park. Very much a champion of the local scene as well, Arthur Tapp / The Catapult Club has been nominated Indie Promoter of the Year (local impact) - 2011 and 2013 and 2015 at the Live UK Business Awards. 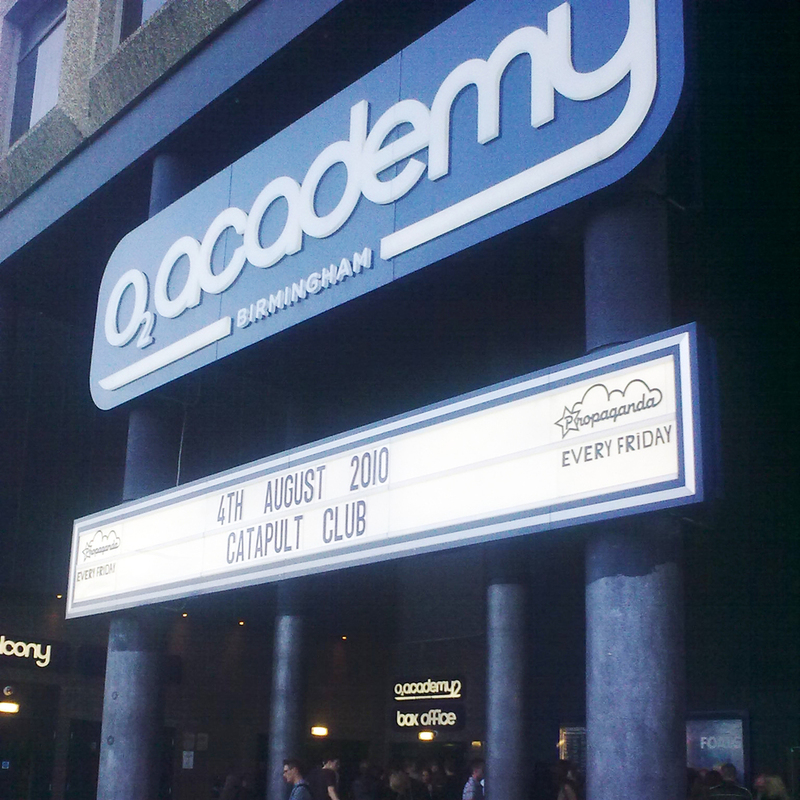 The Catapult Club promotes gigs several nights a week in Birmingham at great quality venues including 02 Academy 3, O2 Institute 3, The Flapper, The Sunflower Lounge, The Actress and Bishop and The Hare and Hounds. We are always looking to work with new venues and bands so please feel free to get in touch by email or mobile. If you are in a band please send a link to your facebook page, a mobile number, where you are based in the UK and if any members are under 18 (some gigs have different restrictions).